The Minneapolis economy is thriving — and so is the city’s writing scene. From authors to content writers, Minnesota’s wordsmiths are determined to live up to the region’s strong reputation. According to Glassdoor, content writers in the Minneapolis-St. Paul area earn an average annual $50,777, while local copywriters earn $56,240 per year. Content strategists in the Twin Cities can expect to earn an approximate annual $65,000. In this age of digital media, job opportunities abound in content writing and copywriting, which are expected to see an 8-9 percent growth rate over the course of the next decade. Currently, there are hundreds of job listings for Twin Cities writers on sites such as Glassdoor and Indeed. Whether you’re on the hunt for a rewarding job in content writing or simply looking to hone your skills, you’ll find a myriad of opportunities and resources throughout Minneapolis and St. Paul. Minnesota’s award-winning academic system is a huge asset to local writers. University programs, weekly workshops, and one-off conventions all help Minneapolis writers make the most of their natural talents. The University of Minnesota Twin Cities campus is a top destination for those looking to take their writing skills to the next level. Enroll in an undergraduate or graduate program such as the Bachelor of Science in Technical Writing & Communication — or amp up your skills in the short-term by taking advantage of continuing education opportunities. Regardless of degree program, all University of Minnesota students enjoy access to the Center for Writing. Located across the river in St. Paul, Metropolitan State University is a great option for career-oriented students looking to finish their degree or simply gain an edge in the job market. Top programs for writers include the Bachelor of Arts in Technical Communication & Professional Writing or the Digital Media minor. Don’t sweat it if you’re not currently able to dedicate yourself to a four-year program. Minneapolis Community Technical College (MCTC) offers several certificate programs of interest to local writers. The Social Media Marketing and Web Design & Development certificates, in particular, can equip writers with a range of valuable skills. The Midtown Writers Meetup Group. This is just one of several Twin Cities writing groups on Meetup.com — but it’s the most active and therefore a good place to start. The group meets every Saturday at the Midtown Global Market. Each meeting centers around unique prompts designed to spark reflection. After five minutes of writing, attendees pass the mic around the circle and share as much or as little as they desire without worrying about critiques. Minneapolis Writers Workshop. Since 1937, the Minneapolis Writers Workshop has brought together an eclectic mix of local writers eager to improve on their craft. The group meets every Wednesday evening at the Black Forest Inn. Membership is encouraged, but non-members can bring works for critique to the first meeting of each month. Visitors are also welcome to attend other meetings throughout the month. Everything: Content & Email. March 27, 2019. Powered by Digital Summit, this one-day extravaganza offers a deep dive into content and email marketing. Arrive bright and early for coffee — and stay for engaging sessions covering personalized content, automation strategy, and more. Confab: The Content Strategy Conference. April 23-26. Confab delves into several topics of interest to writers, including storytelling and user experience. This year’s speakers include PayPal’s Alexa Apallas, Adobe’s Sarah Smart, and Facebook’s Margo Stern. National Writing Project Midwest Conference. August 2-3, 2019. Head to the University of Minnesota Twin Cities campus for an impactful weekend dedicated to the intersection of writing, race, and power. This year’s keynote speakers include the Children’s Theatre Company’s Maria Asp and author Bao Phi. Digital Summit. August 14-15, 2019. Keep up to date on industry trends at the Minneapolis edition of the Digital Summit series. Speakers include The Onion’s Scott Dikkers and Airbnb’s Liza Dunning, among others. The event keeps writers and content strategists entertained not only with intriguing sessions, but also with trivia and an open bar. Wordsmith. November 2-3, 2019. Hosted by The Loft Literary Center, this craft and career convention will benefit casual and professional writers alike. Attendees can mingle with a variety of esteemed agents, editors, and other influential individuals. Pre-conference workshops will take place at The Loft on November 1st. Minnesota Tellabration. November 30, 2019. Head to Open Book in late November for a free day of panels, activities, and more. This Minneapolis event is just one of several Tellabration festivities held throughout the nation shortly after Thanksgiving. The Loft Literary Center. Check website for updates. Although primarily focused on creative writing, The Loft offers a variety of classes and seminars of value to local content writers. Topics of interest may include queries, manuscript formatting, and crafting headlines. Set aside time to attend one of The Loft’s reading series or poetry slams — you won’t regret it. Open Book. Check website for updates. Dedicated to the book but open to writers of all kinds, this inviting space houses The Loft but is worth a visit in its own right. In addition to the The Loft’s facilities, you’ll find the Minnesota Center for Book Arts and Conexion Coffee. Minnesota Writing Workshop. March 2, 2019. Take the next step in your writing journey at the 2019 Minnesota Writing Workshop, where you’ll find over a dozen agents eager for your pitch. Attend group sessions covering everything from query letters and book proposals to self-editing and brand building. The coffee shop is a notorious writing haven. You’ll find your fair share of Starbucks and Caribou locations throughout the Twin Cities, but there’s something special about local cafes. Spyhouse, for example, offers tasty lattes and a welcoming environment; don’t hesitate to check out locations in Northeast, Uptown, the North Loop, and Whittier. Vicinity Coffee serves mouthwatering pastries and a mean cup of Joe in a converted industrial space, complete with large windows and plenty of outlets. A variety of content platforms hire Minneapolis-based writers, who are only too happy to skip the frigid commute and work from home. Skyword. This collaborative platform supplies content to a variety of recognizable brands, including IBM and Colgate. Compose.ly. Dedicated to connecting content marketing experts with organizations of all sizes and across numerous industries, Compose.ly focuses on highly technical content in an effort to capture top organic search engine positions. WriterAccess. Although based in Boston, we employ writers all around the world. Our team of over 15,000 writers, editors, and content strategists serves over 25,000 customers. New opportunities are always cropping up, so don’t hesitate to apply and join our talented, passionate team. Writers thrive in Minneapolis and St. Paul. It is, after all, the birthplace of F. Scott Fitzgerald. The world can also thank Minnesota for producing the likes of Maud Hart Lovelace, Tim O’Brien, and Vince Flynn. 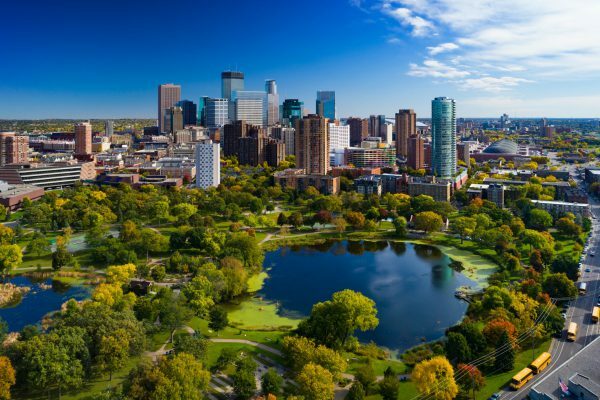 The Land of 10,000 Lakes has a storied history — and today, some of the best writers in Minneapolis can be found on WriterAccess. 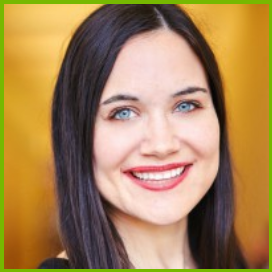 Stephanie‘s writing experience covers a vast array of topics and industries. Specialties include legal, entertainment, lifestyle, marketing, and automotive writing. A regular contributor for SheKnows Entertainment, Stephanie covers trending news, creates entertaining recaps, and interviews today’s hottest reality stars.